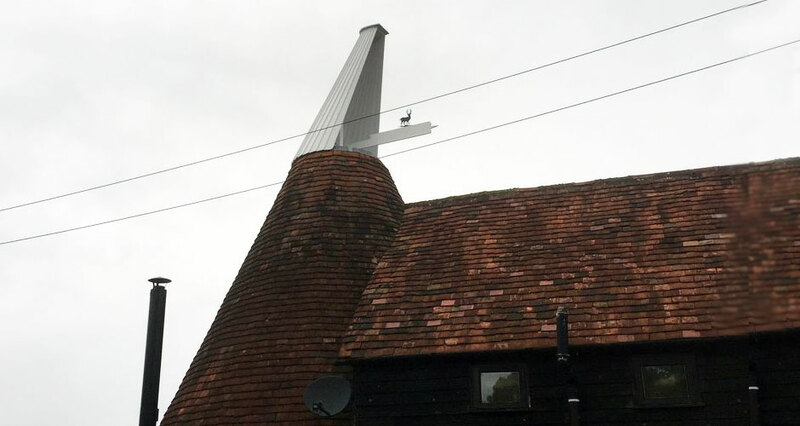 After moving into our Oast house in April, we felt it just missed having its top hat on! Whilst searching the internet for information I came across the Dude and Arnette website, its was really informative and after speaking with them they came and viewed received a quotation, When the team arrived to fix the cross bow they were friendly, knowledgeable and hardworking with a passion for what they do, then the following week there it is in all its glory! – it just completes the house, so pleased and would recommend to any Oast House owner in the country!